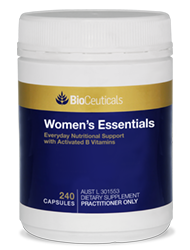 Formulated to support a busy lifestyle, Women's Essentials upgraded formula now provides activated B vitamins, vitamin K2 and more vitamin D3 alongside essential vitamins, minerals and herbs. 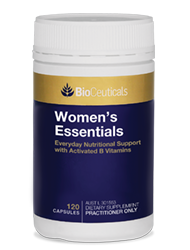 Women’s Essentials is a comprehensive multivitamin and mineral formula with withania (Withania somnifera), a traditional Ayurvedic restorative tonic, and pomegranate (Punica granatum) seeds, a rich source of antioxidants. 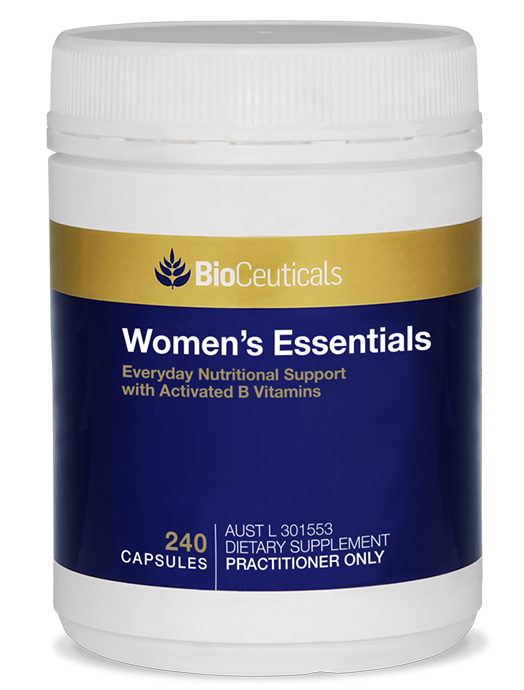 Women’s Essentials is suitable for women whose dietary intake may be inadequate due to an increased demand or busy lifestyle. 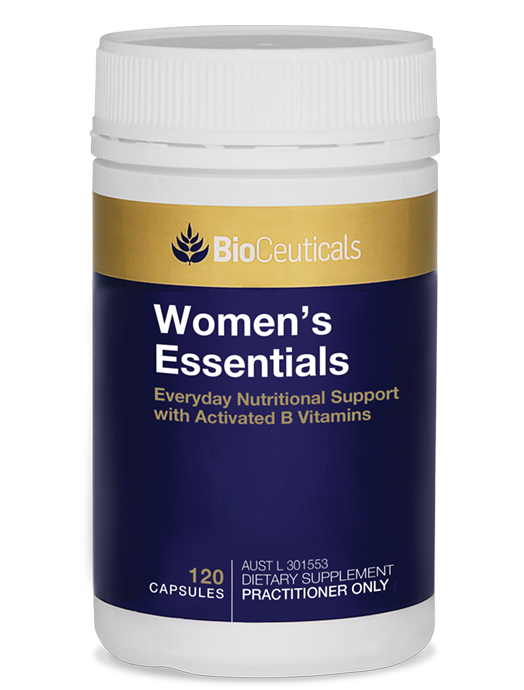 Formulated to provide nutritional support for key women’s health concerns: healthy blood, thyroid function, healthy glucose metabolism and bone health. Contains activated vitamins B6, B9 and B12, which support healthy methylation and homocysteine metabolism. Daily dose provides 1000IU of vitamin D3. Vitamin K in the form of K2. Provides the immune-supporting nutrients vitamins A, C and D3. Vitamin E and selenium provide antioxidant activity. Biotin and zinc, with vitamins A and C help to support healthy skin. Includes KSM-66® withania, a standardised extract used in traditional Ayurvedic medicine as an adaptogenic herb, to support the body during times of stress. Pomegranate is included for its antioxidant properties, which help to reduce oxidative damage. The recommended daily intake (RDI) of vitamin A is 700mcgRE for women and 900mcgRE for men. WARNING - If you are pregnant or considering becoming pregnant, do not take vitamin A supplements without consulting your doctor or pharmacist. WARNING – when taken in excess of 3000mcg retinol equivalents, vitamin A can cause birth defects. WARNING - this medication may be dangerous when used in large amounts or for a long time (contains B6). This product contains selenium which is toxic in high doses. A daily dose of 150mcg selenium for adults from dietary supplements should not be exceeded. Always read the label and if symptoms persist, consult your healthcare practitioner. The role of magnesium in clinical practice.